Building a Safer Future- Independent Review of Building Regulations and Fire Safety – Dame Judith Hackitt’s report is not enough to halt the race to the bottom in terms of health and safety. We needed a report that would state clearly ‘enough is enough’ in terms of the deregulation that led to Grenfell, an end to deadly business-led attacks on safety laws and cuts to enforcement. We also needed a report that would honour those killed and ensure such a fire could never happen again so that everyone, including the most vulnerable and poorest are also protected especially in their own homes. 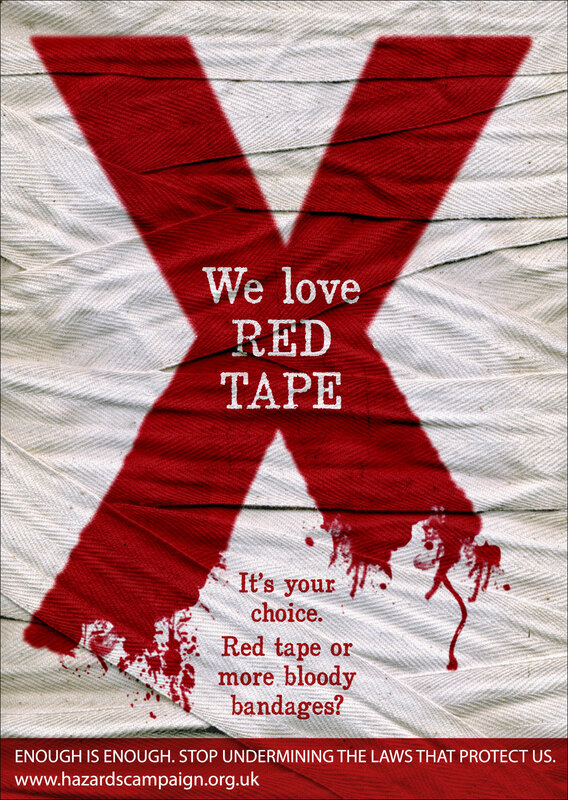 We agree with Judith Hackitt that the system of Building Regulations is broken. But this is just a symptom of the whole broken system of hard won regulations and enforcement of all aspects of health, safety and welfare set up to protect us at work, in the environment, using products, services, and at home, in our beds, as at Grenfell. This system no longer works, as it has been systematically destroyed by waves of ‘deregulation’, ‘better regulation’ presided over by governments over past 40 years but especially turbo charged since 2010, and that led to the ‘Race to The Bottom’ which Judith Hackitt describes in her report, and of which as Chair of the HSE she was part of driving. Deregulation was driven by a change in culture that included David Cameron as Prime Minister vowing to ‘kill off health and safety culture’, deriding it as an ‘albatross’ or ‘millstone round the necks of business’ and talking of a ‘bonfire of red tape’, using the lie that good health and safety is a ‘burden on business’ to slash laws but more importantly to draw the teeth of health and safety watchdogs by massive cuts in funding and changing the nature of enforcement by commercialisation, privatisation, outsourcing and making business financial interests come before lives and health. 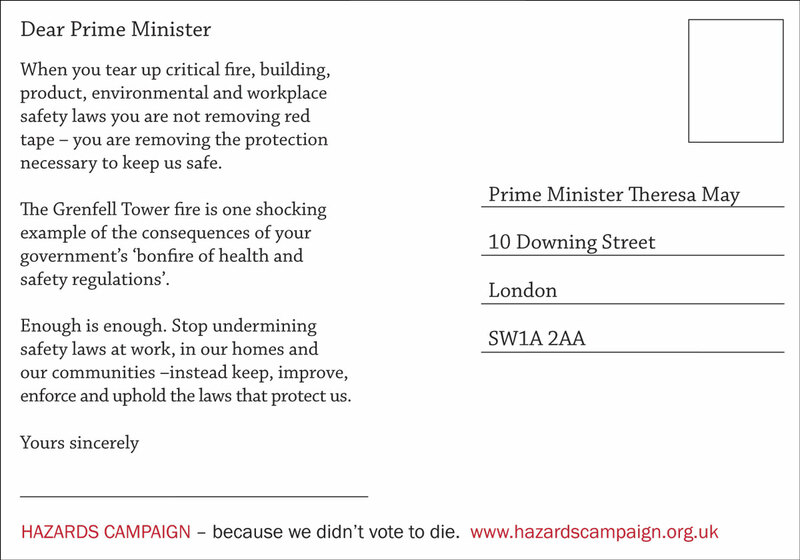 The inferno at Grenfell Tower was the real life ‘ bonfire of red tape/regulations’ Cameron and Tory/Lib Dems demanded but it has not been the ‘enough is enough’ moment for deregulation that it should have been. 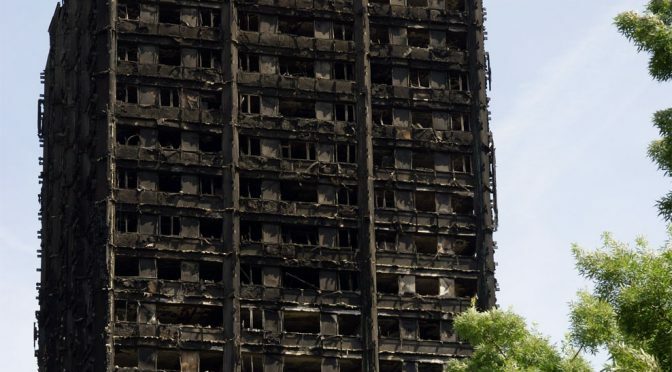 There are some good points in Hackitt’s report but she fails to correctly identify or analyse the effects of ‘Deregulation’ on building and other safety, and how the deadly culture that led to Grenfell was enabled and driven by the state and enforcing authorities and it is not at all clear that her recommendations can drive a change of culture in the industry of putting safety first. As the Chair of HSE, Hackitt presided over the slashing on inspection, changing the nature of enforcement, and helping to develop the very culture that led to Grenfell. Since she left HSE she works with the Engineering Employers Federation which represents key actors in this industry. Judith Hackitt makes clear the need for simplification and clarity in building regulation, but then she fails to take the most obvious step which would provide absolute clarity, and some restoration of trust in the protective system of regulation for high rise buildings, in refusing to ban combustible building materials. She calls for more regulation and enforcement and stronger penalties to hold duty holders accountable through a structure called the Joint Competent Authority. The devil will be in the detail, and we will examine the whole report carefully, but it is not clear how this Tory government with its fetish for deregulation and putting business interests first and foremost before our lives and health would fund, resource or provide the required political will, for a strong regulatory system with sufficient powers to hold the whole construction industry and individual duty holders to account.